A COUPLE OF MONTHS BACK, Josh Mersfelder '14 went truck shopping. He returned home with a charcoal-colored puppy instead, and promptly named her after an Australian hops variety. Mersfelder recounts his story seated on a stool in his brewery’s tap room, gazing fondly at Ella as she smiles back, wagging her tail. The anecdote reflects Mersfelder’s own journey, which led from his first love of cars to his discovery of hops — and the joy of beer making. As a teenager, he took on kitchen jobs to support his auto obsession. 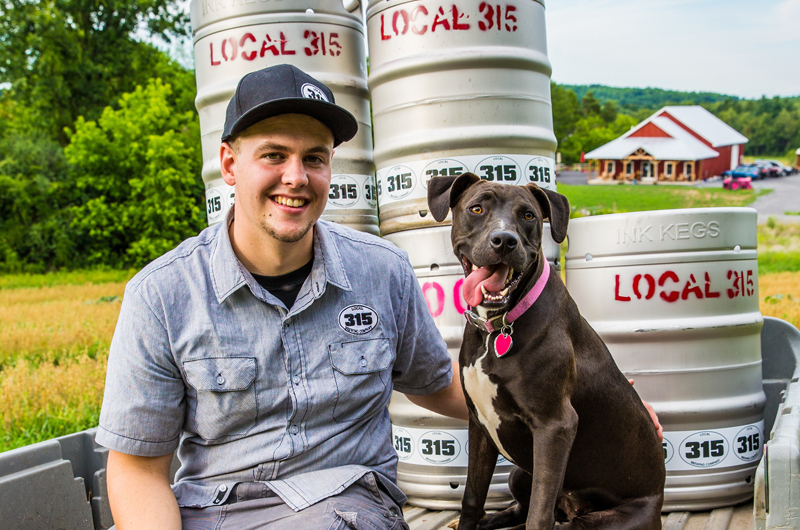 Continuing to JWU, Mersfelder developed a new passion, which brought him back home to upstate New York, where he is director of brewing operations at craft brewery Local 315, tucked into farmland west of Syracuse in a town called Camillus. That was spring 2015. The brewery has taken off since day one, when the line snaked out the door and down to the goat house, and the bartenders couldn’t pour the beers fast enough. “It was like Woodstock,” says Mathews. Nowadays, Local 315 has a comfortably packed taproom that overflows onto a spacious porch, where enthusiasts lounge in Adirondack chairs that overlook fields and forest. To the side is a beer garden, where area musicians play on a small wooden stage. Out front, food trucks rumble into the parking lot. The wholesale side has taken off too, growing to more than 30 accounts in the first year. “I just locked down Cheesecake Factory,” Mersfelder shares. When the call to set up that account came, Mersfelder thought it was a wrong number. “This is Local 315,” he clarified, certain that the rep was looking for the mammoth Budweiser brewery the next town over, run by beer giant Anheuser Busch InBev. 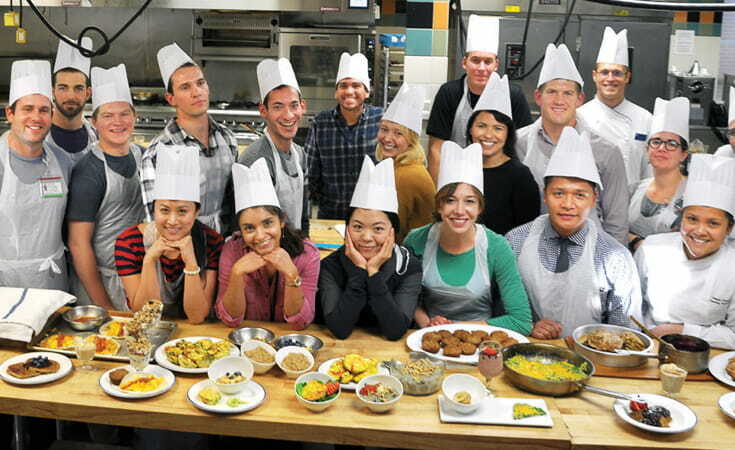 There was no mistake: Restaurant management wanted to make a local push. Small-scale beers are now very big business. According to the national Brewers’ Association (BA), while total sales of beer dipped last year, craft breweries — defined by the BA as small, independent beer makers using traditional techniques — made a significant gain, with sales revenue growing by 16% to $22.3 billion, to comprise more than 12% of the nation’s overall beer market. JWU has responded to student interest by creating a craft brewing curriculum, which kicked off at the Charlotte, Denver and Providence campuses this fall. A minor in craft brewing and a certifcate in professional brewing will be available in fall 2017. She created the JbreW Student Brewing Club. Hosting its inaugural Ocean State Homebrew Competition in spring 2011, the club saw 180 entries. JbreWers earned medals and more importantly the judges’ rave reviews for their success in organizing the event. “The club was really the only way to get experience and network in the industry,” says Pereira. This past spring’s 500 entries included homebrews from as far a field as Oregon and California. Also last year, Pereira and students launched Providence’s official brewing team, the Wet Willies, which gives students increased access to off-campus competitions. But student brewers, faculty emphasize, do not have an “Animal House” chug-a-lug sensibility. 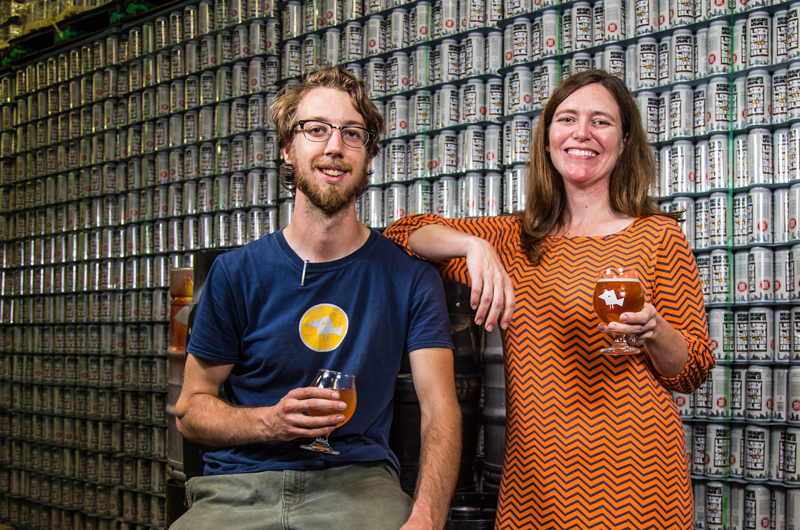 When Associate Professor CharLee Puckett asks his Denver students whether they’d pay the same money to get three craft beers or a mass-produced six-pack, the choice is unanimous: the smaller amount of craft. So Chris Goulet harnessed his MBA and wrote a business plan. For additional investors, they turned to friends: a core group in well-paid corporate jobs who wanted to invest in something they believed in. Then the couple and their brewmaster, Charlotte grad Conor Robinson ’10, started learning from breweries across the state. In December 2011, the Goulets and their friends opened Birdsong Brewing Company, on North Davidson Street in the Queen City. In a year, they were turning a profit, and, not long after, they could barely keep up with demand. By early 2014, they were running out of space. Today, the expanded Birdsong Brewing Company sits a mile down the road. 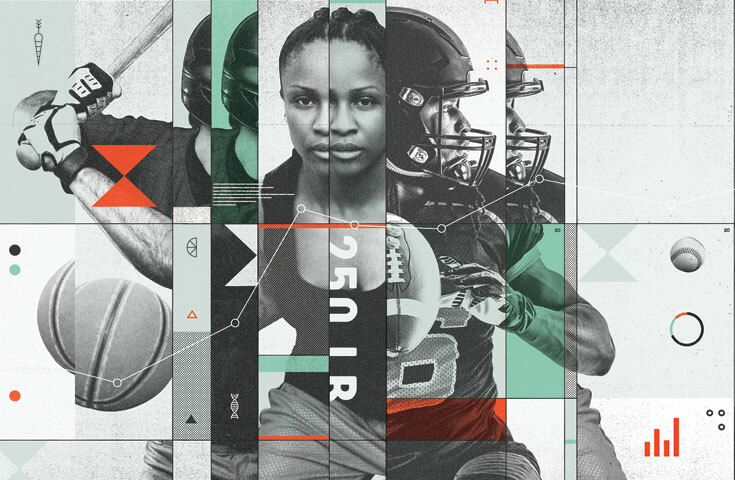 With triple the capacity, the business has more than doubled its wholesale accounts to over 500 — and forecasts reaching as many as 1,200. “A rising tide raises all ships,” notes Charlotte Associate Professor Alistair Williams, who taught Robinson. Recently back from a glamping trip at the company’s Elk Mountain Farm in Idaho, Burnside describes sleeping amidst the hops and dining at a long table set between the rows, tasting beers with brewers from other formerly independent InBev labels. Back at Local 315, Mersfelder, who took Pereira’s brewing class, describes the lengths he went to for his maple imperial stout, including substituting water with sap from a nearby farm’s trees. His quest is to use local ingredients, like the rhubarb for his Strawberry Rhubarb Blonde Ale, sourced from neighboring fields: “It tastes like a strawberry rhubarb pie." This is the passion sparked as a result of his early love for cars, when Mersfelder started down a culinary path as he washed dishes in local kitchens to pay for the restoration of his 1973 Chevrolet Nova Super Sport. 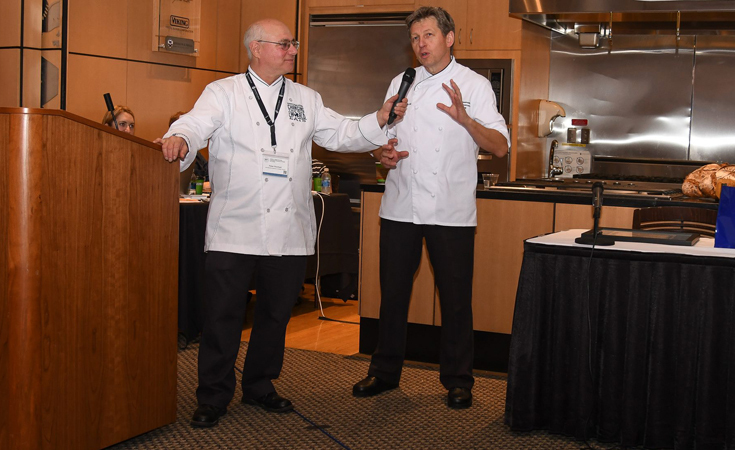 JWU Charlotte Chef on Assignment Peter Reinhart has created an incredible forum where the worlds bread experts are able to share their knowledge.